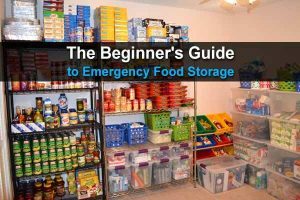 I’ve seen countless articles about martial law survival (and have published a couple on this site). 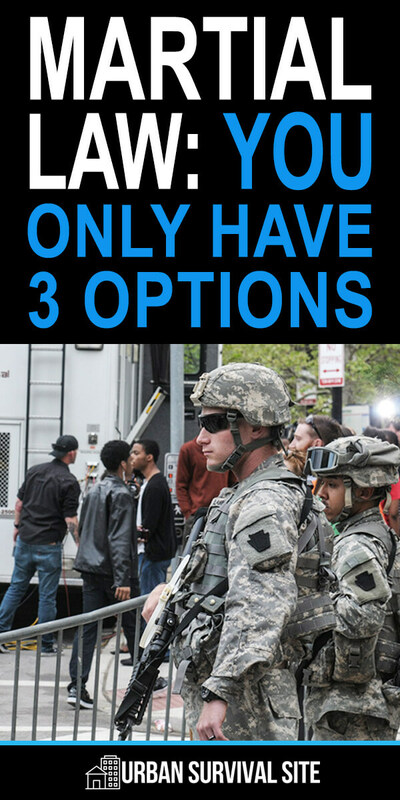 But for all the talk about martial law–what it means, what to do, how to survive–the discussion really boils down to three simple options. 1. Fight back against the armies that are taking over your town. This isn’t a great option as it will almost certainly end with your death. 2. Run away to the hills and avoid the government altogether. She says you’ll probably die if you do this, and I agree if we’re talking about living off the land. 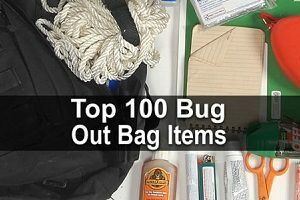 However, if you have a well-stocked bug out location, you have a decent chance of surviving until things return to normal. 3. Give up and live under the rule of martial law. She says they probably won’t confiscate your supplies and firearms, but that really depends on the scenario. I would definitely hide some supplies where they can’t be found. Watch the video below to hear her thoughts on these scenarios. What do you think? I lived in Argentina during a coup and martial law in 1975-76. Trust me you are not going to do anything because you will be outnumbered and out gunned. They will come into your house during the day when you are at work…take whatever they want and leave. If you resist or give them any trouble you will be arrested. You will have a curfew of being off the streets be 9:00pm or be shot. In the big cities the student protesters were out fighting after dark and you could hear their bombs going off protesting the government. A lot of them went “missing” and their parents hadn’t heard from them for a long time. If you want to know what it is like rent the movie “Missing” with Sissy Spacik and Jack Lemon…true story of that time period about what happened in Chile. 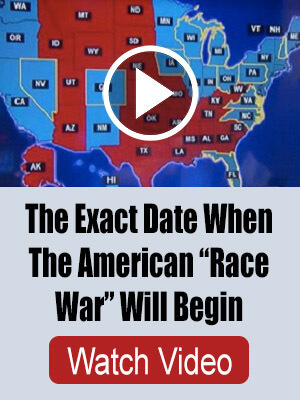 If ML is ever declared… you and the rest of America better be a hammer of death as long as you are alive. A wave of death to the ML crowd in charge is all that will stop any of it. The longer ML goes on the longer it will stay in effect until all of you hang separately. They did not declare ML to be used for a few days or weeks… It is a means of total control you will not get your life or country back in short time… You will have to take it back with force. The best plan is passive resentence. Do every thing exactly by the published and announced rules, do this to the letter. This always causes massive problems and you always point to the copy of the rules they put out. I have seen many projects and plans stopped by simply doing just that. If you really want to mess up a military operation just follow the regulations to the letter. Any bureaucracy is full of totally contrary rules that stop every thing if fully followed. Always fill out any paper work that you are given fully with out giving any useful information. If asked for paper work have a big disorganized pile for them to look through. And be the friendly dim witted helpful person who is always in the way and asking questions over and over who never quite gets it right. and I would absolutely make sure that I had hidden supplies and weapons that could not be found. I’m amazed you can make this statement not knowing anything about the people watching the video…I sure as hell wouldn’t go toe to toe with the Army/PD/National Guard on my porch…it’s a no win situation for me..I’d wait until I have the advantage and then hammer them and boogie…hit and run tactics work well when the other folks don’t have a clue as to your skill sets. #2 I’m going to die if I take off to the woods…again not knowing my skill sets, that is an inaccurate analogy..sure some folks might, but not this kid!! #3..bend over and take it…nope …bide your time when/where to escape..wait for them to get complacent ,let their guard down…take advantage of this and escape early in the AM would be best…tired “sentries” will not be expecting it..
Yahoo……if we deal with it and let them take everything including us…..we will die. listening to the princess, it sounds wonderful living on your knees as a slave. resist, at least you can die on your feet like a free person. Yes, i have the experience. 447 days of SHTF for our family. http://www.justmeasurescs.com and yes we have not left our property since july 17, 2017. People need to stand up, not talk about it. not dream about it, but actually go out and make a difference. You do not look too smart much less committed. By the way has you see any uniformed or plain cloth people walking and ruling your life with no constitutional right to do that around your town? Is it those guys the one you call crazies or you simplest hide your head under ground and only show up to kiss their ending place of their spine cord?